Social Media Insight for Retail curates unstructured and structured data from various sources like Twitter, Facebook, call centers, customer surveys and product reviews, to measure, monitor, and understand what is being said about categories, products and stores. The analysis of that data provides insights into customer perception of value, quality, and convenience, allowing merchants and marketers to have deeper insights right down to the item level. How can merchants, marketers and planners gain a better understanding of the “why” and not just the “what” of customer behavior so they can improve merchandising decisions? Associazione Amici Via della Spiga uses analytics to improve business decisions and uncover opportunities. Leverage social insights, call centers, customer surveys and product reviews to make price, promotion, and assortment decisions. Monitor changes in customer perception about brand and products. 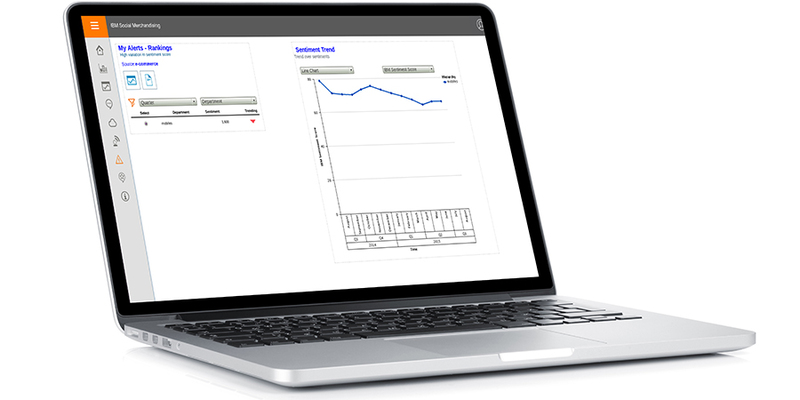 Provide insights about customer preferences at the category, department and item levels. 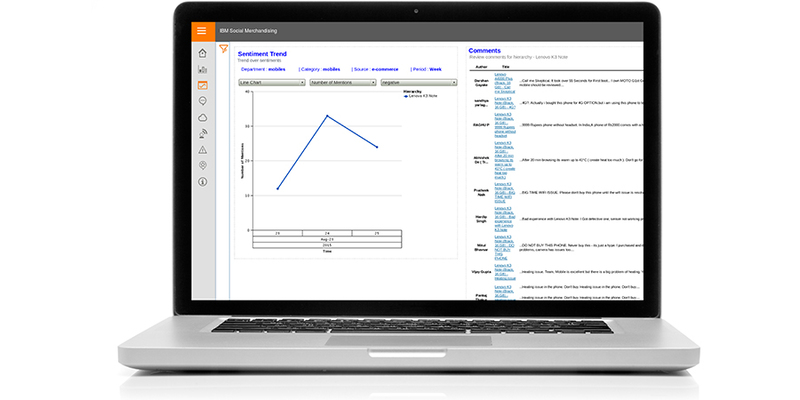 Identify social trends and respond quickly to improve inventory turnover and sales. Gain insights into quality and value perceptions to improve customer satisfaction and loyalty. Data is fueling the insight economy, transforming industries and professions. Retailers must embrace this change, finding new ways to engage and fulfill consumer demand through smart and innovative use of today’s data deluge. 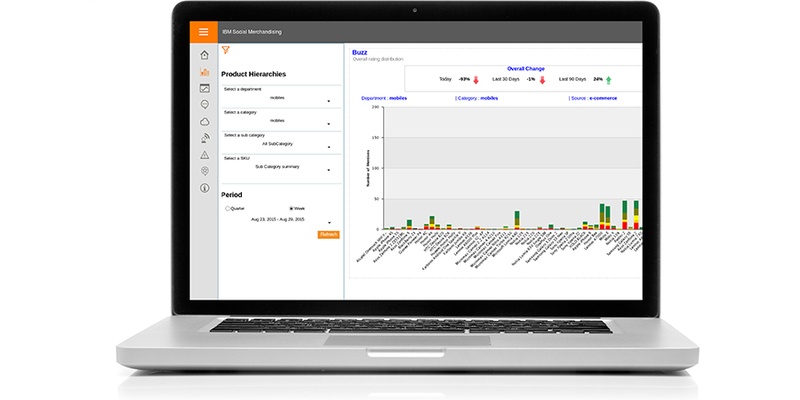 The My Alerts view highlights your predetermined priority categories by product line. The report is arranged in a simple, easy-to-read format. The Buzz view shows the user key recent consumer commentary across social channels. The relative impact of each trending conversation is evident in the straightforward graphic display. 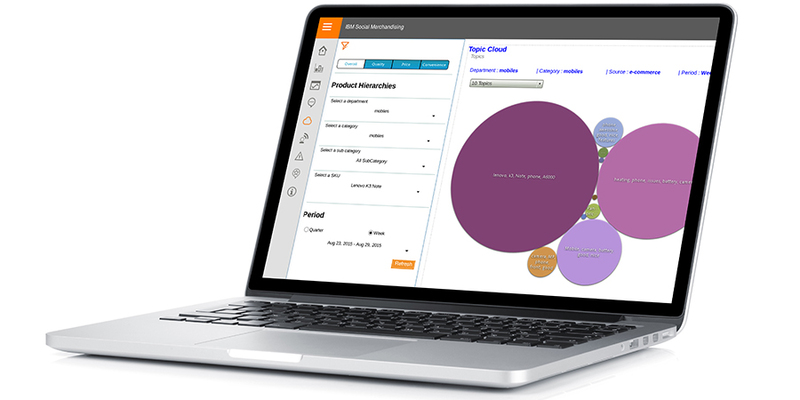 The Topic Keywords, or “Word Cloud” view provides clear feedback on current social channel conversations. This can be viewed by specific product departments, categories and even SKU. The Sentiment Trend view scores products based upon current social channel conversations by taking into account how recent reviews have been posted. This view also considers the relative influence of the authors. Contact us to learn more about Social Merchandising for Retail and our other IBM industry solutions. Register for a free workshop and an IBM Analytics Retail expert will help you identify the solutions that can transform your data. Contact an IBM Analytics Industry expert to learn more about how our solutions can help transform your organization. Retailers must respond to the disrupted retail landscape and changing consumer expectations by finding new ways to understand, engage and serve consumers in an always-on, tech-addicted world. IBM Analytics has developed a suite of solutions to transform how you use data for your retail operations.